Passports - the real ticket to new destinations. This is the one document you need to explore, and without it even a flight ticket won't get you anywhere. You can't even bribe your way over a boarder without one. 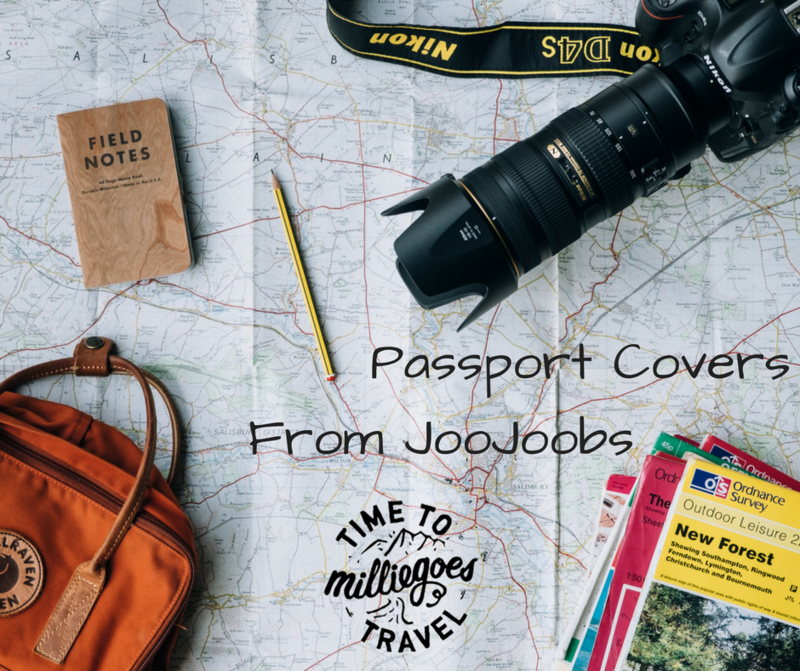 When you loose a passport, it can be game over for further travels especially when you've had to apply for tourist visas in advance which are usually a costly process to begin with. So, on the recommendation of UK boarder control on my last return I've invested in a passport cover to try and preserve my passports modesty ever so slightly longer. Thanks to JooJoobs I've now got the perfect fix! I didn't want a tacky plastic cover that could belong to anyone, but I also didn't want an over the top designer style that just shouts to everyone around me 'steal my bag'. Without a massive budget, this cover is a great mix between style and class. The leather case is also highly protective ensuring that it is more than just a useless fashion statement so many covers can be. Having my logo imprinted on the front case, it's easy to identify in hostel dorms as well when accidentally dropped! Of course, these guys can personalise your passport with whatever you want. From your initials or logo, all the way to your favourite travel quote you can literally make sure you stand out from the rest. With it being so easy to damage your passport, it actually is an accessory that's worth a little investment. 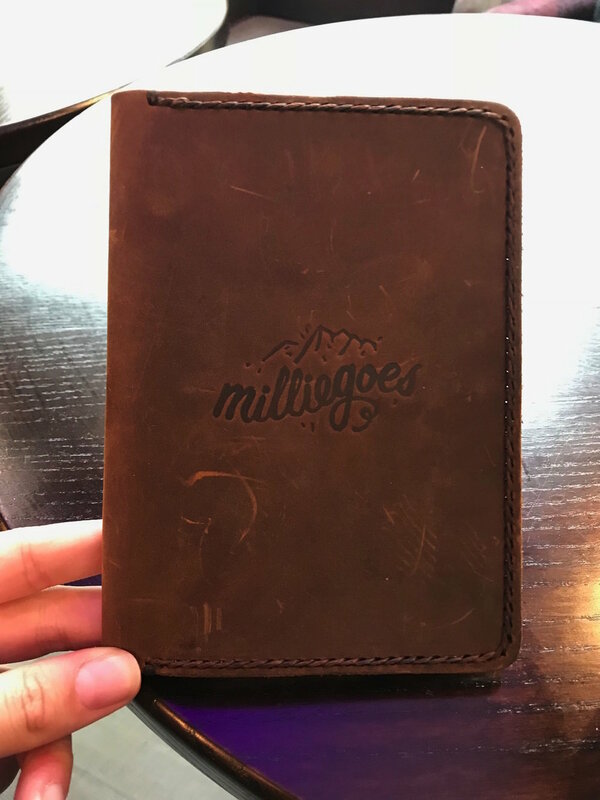 So do yourself a favour and make sure you invest in a passport cover to keep your passport looking pretty, so it doesn't look as disgraced as mine before I got myself a cover. It's hard enough to keep a phone from breaking when in your normal routine, but when you're constantly moving around to far flung destinations and ever changing environments, you need something that's going to protect it. I use an iPhone 7 plus, it takes great snaps & I can write up my adventures on it as it's large enough for easy typing / working abroad. But, they don't come cheap either and I really can't afford to break & replace it on a bloggers salary. So, turning for help I hit up google and came across Tech 21, phone protecting taken to the extreme. With a range of waterproof, dustproof and generally life proof cases I wanted to put it to the test and ordered a couple cases to see how they would fare against the elements in my next big destination - India. With only 3 days here, it was going to be full on. Between exploring, partying and doing some much needed shopping, I was ready to pop these cases to the test. The Evo Elite is a cute little case perfect for someone who doesn't want their phone to bulk out. Some of the shock proof case you can get double your phone size, which isn't so great on the already large iPhone 7. This has quickly become my day to day phone case, having a colour that matches the phone, being sleek in style and the ability to be dropped from almost 7ft and still prevent damage. Despite a number of drops and tumbles, the phone still looks almost new. Thumbs up on this one from me! The Evo Aqua, while fairly complicated to actually get onto the phone itself, certainly does what it says on the tin. Waterproof up to 2m, it's perfect for shallow ocean dives or a day by the pool for the slightly clumsy. Unlike most waterproof cases, it's not too bulky and responds well on the touchscreen without too much additional pressure. However, if your phone has a cracked screen at all you won't be able to use it, as it doesn't have a cover on the front where the glass it. NB. Sadly, after writing this post my phone screen shattered while using the Evo Elite after a 4ft drop after being knocked off a table onto the ground. While very pretty and easy to put on, it doesn't seem to fully protect from high drops. In a world where we are forever connected, when you're travelling it can be a serious pain to face either going without or agree to hefty fees. At home, for a low monthly amount I can have any questions answered almost instantly, communicate with friends home & abroad, work remotely and so much more - the world is literally at my fingertips. However, we've all heard the horror stories of leaving your data roaming on while in Timbuktu, leaving you with a debt about the size of the empire state building. So what if you could travel the world, stay connected but for a fraction of the cost? Well I'm pleased to announce that, this thing actually works AND works well! I've spent the last few weeks hitting up Canada and Iceland (round two) and have managed to stay fully connected to you wonderful people the entire time. The SIM card is ordered and managed through Travel Mobile's user friendly website, which allows you to order your card to a location that suits you, top up the card, add a pre-paid, money saving plan and manage all activation of the balance. Quickly delivered with clear instructions, it's an easy set up! All that's required is your phone to be unlocked and for you to advise on the size of SIM card required (they just seem to get smaller & smaller these days)! From here onwards, it's just waiting to travel. When at the airport, you don't have to frantically screenshot maps of how to get to your accommodation for arrival. You don't have to frantically check messages until you reach the next wifi hotspot that may charge you huge fees to access. You don't even have to remember to flick that little switch to turn off your data roaming. Just change the SIM card once you're in international waters, relax and look forward to your arrival. Probably my favourite thing about the Travel Mobile SIM was that I was never without signal. If the provider wasn't covering where I was it would either switch to the strongest available or I could flip airplane mode on & off to start a search. It meant that from being at the top of a mountain in Canada, or exploring the rift valley in Iceland, I was always in contact with you lovely followers! Unlike my provider at home, it meant I could always keep in touch. Here are a few thoughts that will make your use of this product smoother! The easiest way to use the SIM, I found, is through your data. Whilst texting and calling is still easy to use, because you're using a different SIM card you have a different, international number which can confuse people when you're messaging them. To stop this confusion I messaged using iMessage, WhatsApp/calling via online methods; it still appears as you as it isn't as linked to your number. My only slight difficulty was making a normal phone call at first. Essentially you're required to call as usual, however it hangs up straight away and asks you to accept a call back. Very simple if you read the short instructions before use, however I kinda lost them... having the call back system basically makes it cheaper and still connects you to your voice of choice! Now guys this is sponsored review and I was sent the product to trial without charge to test, however I can honestly say this product is worth using and I found it much easier than simply buying an add on pack for my current contract. I will be using this one again!